If you have been living with anxiety, now is the time to learn how easily you can now be free. VIP clients of ours pay thousands of dollars to work with us, because they have discovered that as soon as you no longer feel Fear (and other negative emotions) about your past, you will feel completely different about today, and tomorrow. 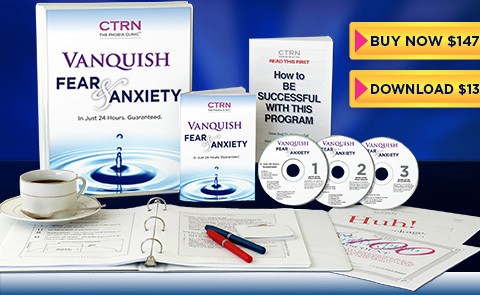 Now, for the first time, we are offering Vanquish Fear & Anxiety – the remarkable Home Study Program that teaches the same powerful and fast techniques our Seminar and VIP clients enjoy, at a fraction of the investment. And for a limited time, we’ll ship you this proven program for just $147* or you can download everything and save $10 plus shipping. (*After our special feedback rebate – see below). "If at any time in your life you don’t think the material in this program is worth ten times the purchase price, contact us for an immediate refund… you won’t even have to pay for return shipping!" We have deliberately made it fast and easy. No forms to mail in. Just give us your feedback… and we’ll send you $99 by return! Most CD programs you see advertised with dozens of CDs never get completed, because the amount of material is too great. With Vanquish Fear & Anxiety, we’ve packed the most powerful techniques we teach our anxious clients onto just 3 CDs (along with dozens of smaller, yet important distinctions) . What’s more with our ‘convenience’ edition the entire program comes in a stylish, compact DVD-sized package thats ideal for travel, or carrying in a handbag or briefcase. If you want dozens of CDs don’t buy this program now. 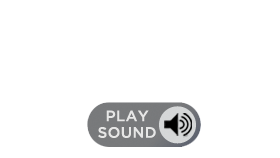 There are certainly programs available with dozens of tapes or CDs (that most people never have time to listen to) that endlessly talk about the problem. We prefer a quicker, kinder solution. Based on techniques developed at the University of California and perfected through extensive research with hundreds of thousands of phobia and anxiety sufferers worldwide. 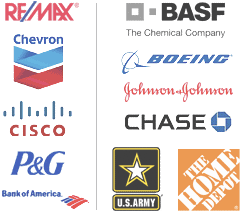 All our programs are based on techniques developed with the assistance of hundreds of thousands of successful clients. Our techniques are safe, and involve no drugs. You will learn processes which help you develop control over the same stimulus/response mechanism which you naturally use every day of your life. As soon as your order is processed in our shopping cart, you can begin your download immediately, so you can start getting rid of Fear & Anxiety right now. The contents of CD number one, which lays the foundations for change, are available online to listen to, even as the full program downloads. Independent reviewers and users love this program! Whether they are top journalists, athletes, CEOs or just ordinary people like you and me, people love this program. …if you have some things that are disturbing you. Even if they’re not phobias, this man can help!" …and it can turn your life around and help you deal with those fears and those phobias [clicks his fingers] just like that." 5-time Emmy Award-winning television anchor, author, motivational speaker, university lecturer, syndicated columnist. It’s incalculable what this is worth… I can only say many — many — times the investment." "I’m a clinical psychologist, and the author of ‘Opening Love´s Door’. 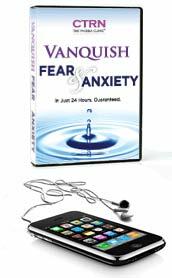 The Vanquish Fear & Anxiety CD set is a very powerful tool and I highly recommend it. It’s a tool that can help you break free of the anxieties fear and other negative emotions that keep you from living life full-out. The work is based on techniques that produce very rapid change ­ and I highly recommend it." is a regular on television, radio and print media. She has appeared on Oprah, Good Morning America, Sally Jessie Raphael and PBS radio and been interviewed or quoted in The New York Times, USA Today, Time Magazine, The New York Post, The LA Times, Cosmopolitan, and US magazine. "I am very grateful to have found your program! I must admit I was skeptical, but I now believe. It’s amazing that I now have control of my reaction to any environment. No longer anxious, I feel a sense of relief, not only in my mind, but also in my body. Even my neck and shoulders seem free. I have let go of so much baggage that I was not aware I harbored. Thank you!!!!!! I’ve exhaled…"
"This program has done wonders for me. As I went through them and did what you instructed on the CDs, I was amazed at how quickly and easily that I was able to get over some of my fears and take more control of my life. I can now do things that I was not able to do before, easily. I don’t get those butterflies in my stomach for very long. I don’t get scared doing things like I did before, specifically from Claustrophobia. I go into situations like that now much calmer. It was amazing to me how easy it was to make some big changes in my life. I do recommend the program. I have already got a friend interested in getting it and I think its wonderful." " Thank you for the tremendous CD´s. I developed several phobias recently following the death of my father. They included claustrophobia as well as fear of waiting. These both affected my ability to work since I am in sales and tend to travel on planes a lot. After listening to the CD’s I have noticed surprisingly an increase in my overall sense of well being as well as an increased confidence to be able to handle these phobic situations as they occur. CD Two unveils your nervous system’s best kept secret. Anchoring is your automatic, in-built ability to link powerful emotions (positive or negative) to any kind of trigger. It’s why a certain piece of music or a smell can bring feelings and memories flooding back… and you’ll learn how to use this natural ability at will to transform your feelings from Fear & Anxiety to feeling completely free …! "If at any time in your life you don’t think the material on these CDs is worth ten times the purchase price, contact us for an immediate refund… you won’t even have to pay for return shipping!"